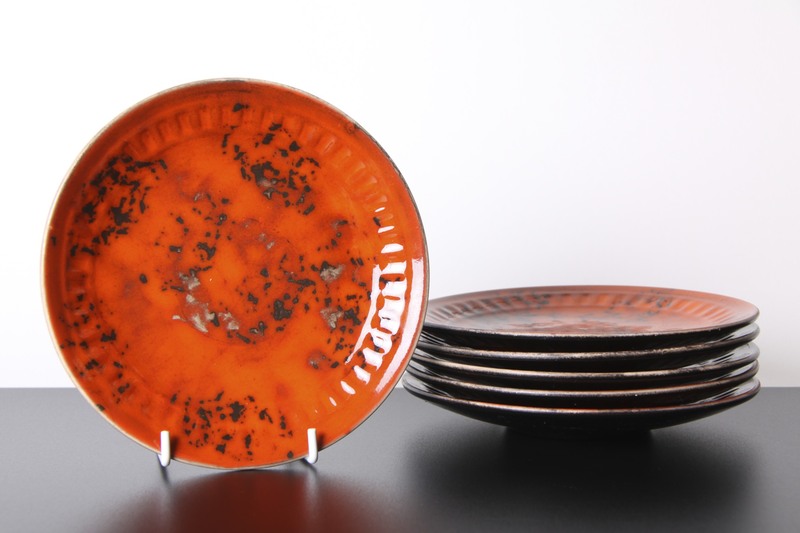 These are a stunning bright retro set of 6 Orange ceramic plates, made circa 1960’s. 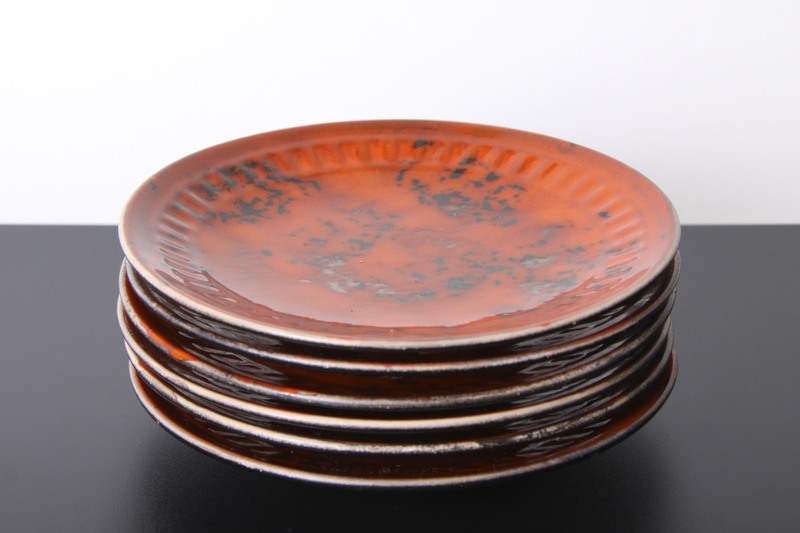 Very Striking with their glossy Orange Majolica style glaze, mottled and flamelike with areas of black and grey, like burning embers. Very reminiscent of the late Sixties Pop Art era, and in the style of European potteries of the era in Vallauris (France), West German ‘Fat Lava’ and Dutch ceramics who all employed similar techniques and designs. The bases are glazed in a contrasting black, with no markings. Super stylish and Fantastic to have a set of six, perfect for adding a splash of vintage colour to any table or kitchen. Would make a great addition to any collection of European pottery, and would complement any retro, vintage, modernist, pop art, kitsch, 60’s, 70’s or contemporary interior. All in Excellent Condition with no chips, marks or scratches. These are fantastic, love the colour, style and glaze!